The Dark Knight - after a decade of frustration - is in India. Having stalked his prey across the United States and Europe, Batmans sources tell him the architect behind the Wayne bombing, Jennifer Blake, is now in hiding there.In the course of a harrowing journey that takes him from the Taj Mahal to the hidden temple of a great Indian saint, Batman finds all his precious concepts of crime and punishment, justice and retribution, God and man, turned inside out. 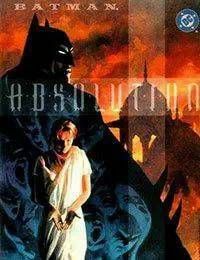 His health will be shattered, and he will be near death...finding himself at the center of a literal firestorm during which he must question whether any human being can truly change - and whether a mass murderer could possibly be worthy...of absolution.